Easy to use 3D fractal terrain generator. Is there a better alternative to Fractscape? Is Fractscape really the best app in Illustration category? Will Fractscape work good on macOS 10.13.4? Fractscape... Make the landscapes of your dreams in a fun and easy way: Fractscape uses fractal terrain generation techniques to create a wide variety of landscapes, with as much or as little control as you want. Fractscape needs a rating. Be the first to rate this app and get the discussion started! Export terrain files for game engines or other uses, or just wander through the wilderness in first-person mode. Load in your own textures, instantly and automatically build high-res terrains out of low-res heightmaps, or randomize everything and see what happens. 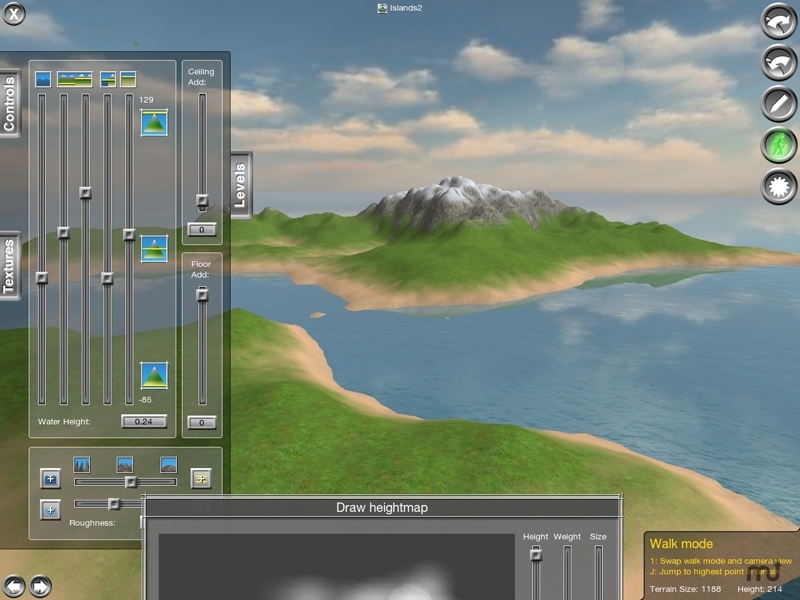 Use the various controls to shape the terrain and influence the auto-texturing. Made especially for the Unity engine, but works with anything that loads heightmaps or .obj files.